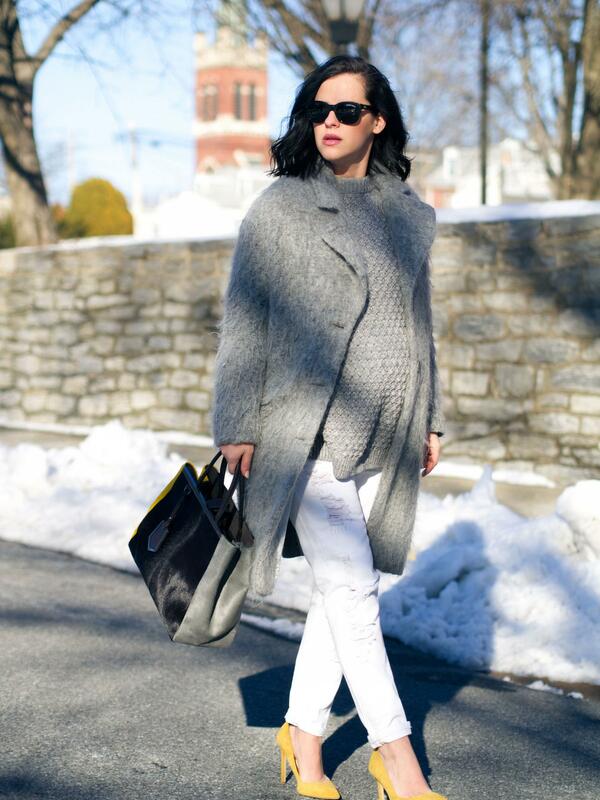 From cozy monochrome looks, to this latest approach, this coat is quite a winner this winter and a favorite of mine. Very easy to mix and match with any color, comfortable and, most importantly, warm enough for winter days here in PA.
...few more weeks until the official start of Spring... and I can't wait! 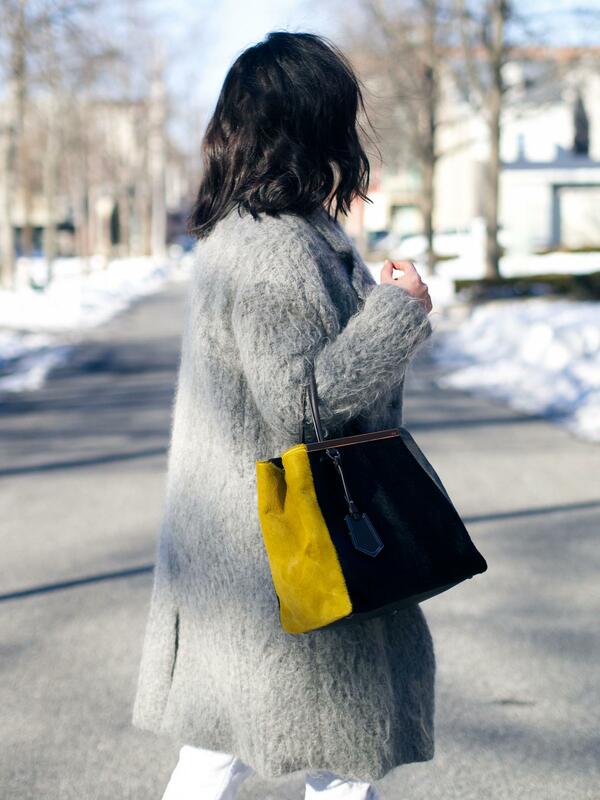 I can’t wait for the Spring either, but you did great job choosing these shoes and bag to give a nice “punch” to the monochromatic, winter outfit! 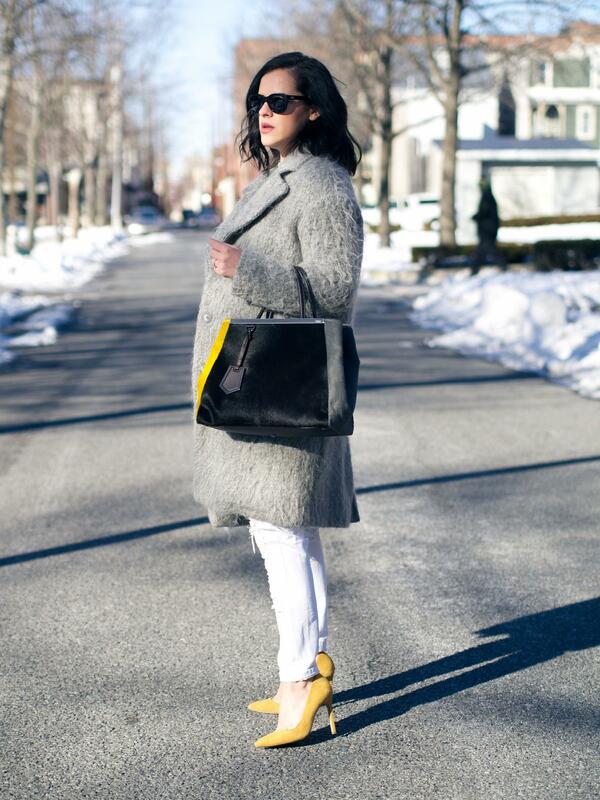 The yellow seriously elevates this whole look and pushes it into spring territory! Cannot wait for warmer weather! 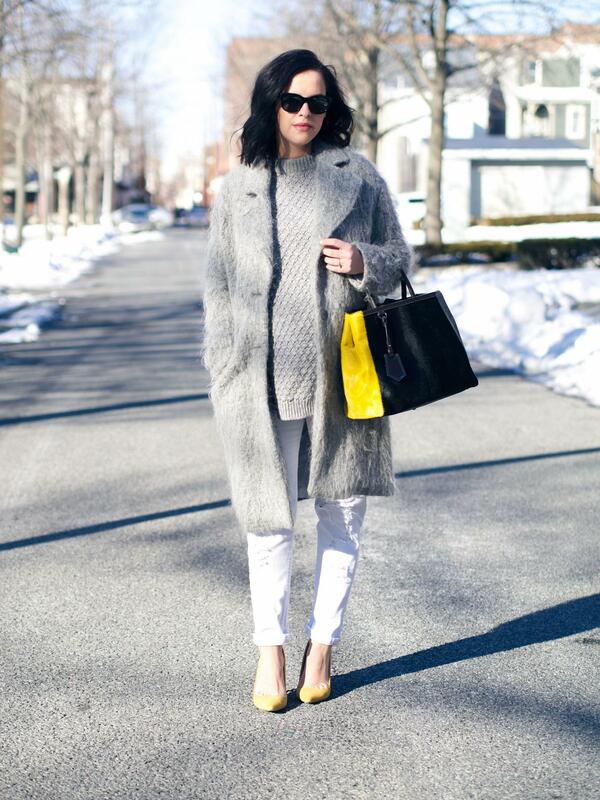 great style! i like the colour yellow to your hair! 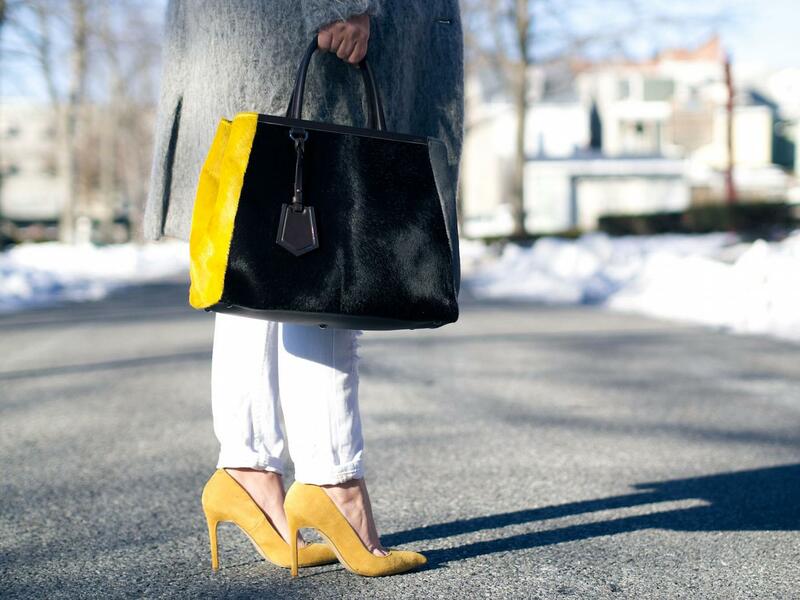 I love the unexpected shade of yellow on that bag. Great look!